Good morning! 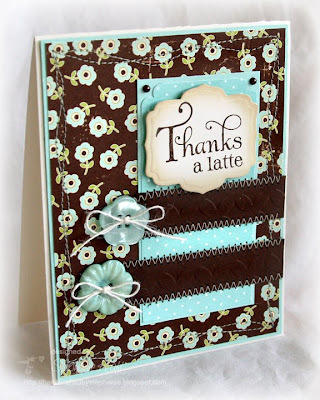 I have a couple of cards for Verve's Blog PaRtY challenges 2 and 3. First is a sketch challenge by Laurie and Tosh. The challenge also has a "twist" of thankfulness. I made a "sentiment" card, which is one of my favorite things to do with the beautiful Verve sentiments and quotes. This one is from Delightful & Delicious. I embossed my Dark Chocolate panels with retro diamonds, but it might be hard to see in the photo. My second card is for the embellishment challenge by Lynda and Michelle. 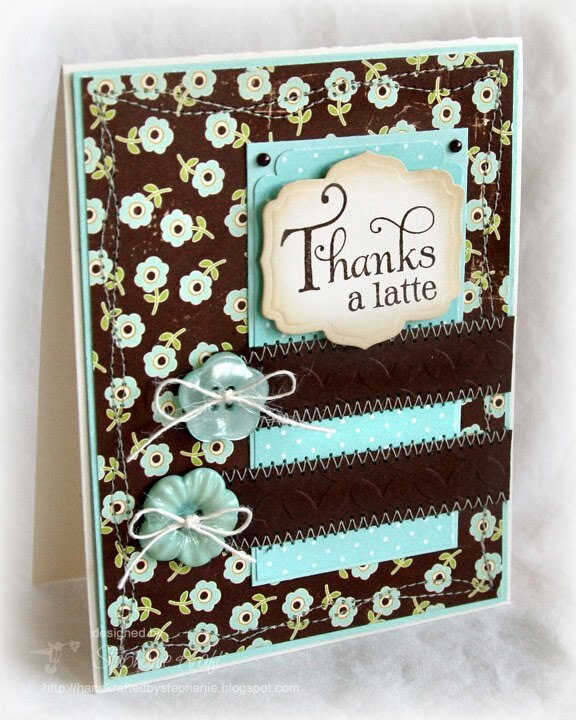 The challenge is called Embellish with V-E-R-V-E and the challenge is to create a card or project using an embellishment that begins with the letters in VERVE. I used V - velvet ribbon and 2 kinds of R - rhinestones (tiny ones on the ornament and the larger ones along the side panel). I used Beate's Weekend Sketch #108 for my layout. 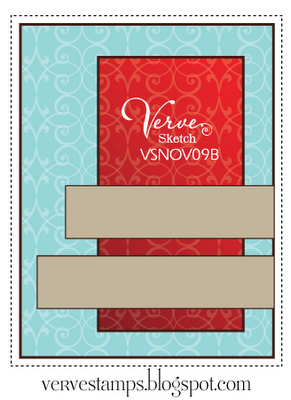 I was able to squeeze some extra stamping time in this weekend, and I finished all 5 Verve challenges... woo hoo!! I wasn't able to photograph the final two, so I will be back later today with those projects. 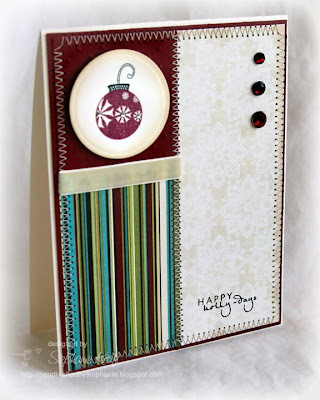 Accessories: Labels Five Nestabilities (Spellbinders), Retro Diamonds embossing folder (Quickutz), Scalloped corner rounder (Marvy), Buttons (Papertrey Ink), Pearls (Kaisercraft), Twine (May Arts), Foam tape, Thread, Sewing machine. Accessories: Circle Nestabilities (Spellbinders), Taylor's Tiny Twinkles (Taylored Expressions), Rhinestones (Prima), Velvet ribbon, Foam tape, Thread, Sewing machine. stunning cards! Love your thankyou one! The colour combo is just fab! Love the stitching detail! gorgeous! !